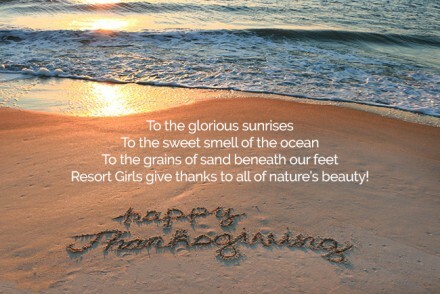 Are you as comfortable in heels as you are barefoot on the beach? Then you most likely own a piece from the Spartina 449 collection of designer handbags and accessories. Founded in 2009 by serial entrepreneur Kay Stanley, the line was inspired by the beauty, rich history and people of the charming Daufuskie Island. 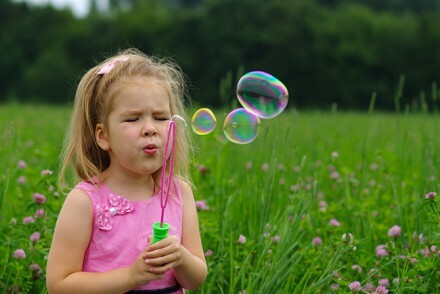 • And most of all…likes to have fun! 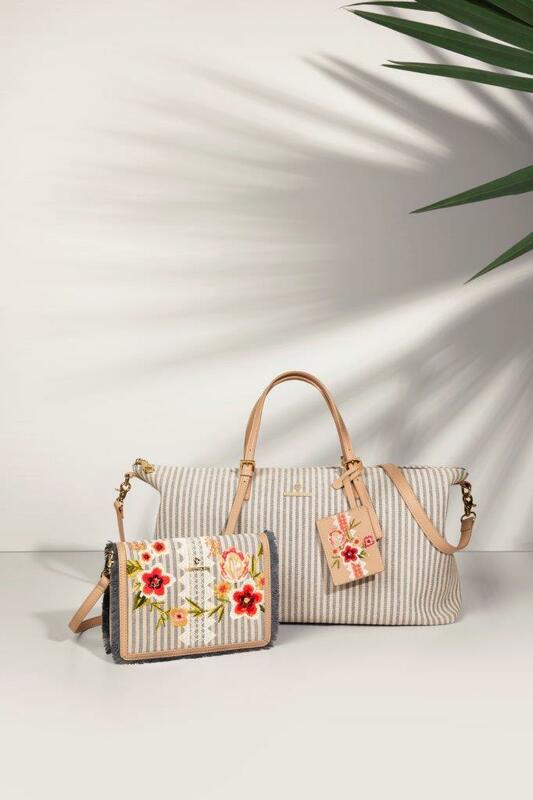 Since its inception, Spartina 449 has offered women signature linen handbags featuring leather accents with island tales woven into each pattern. From the first collection, Spartina patterns have drawn from Daufuskie Island’s lush natural environment and rich cultural history. Next came a variety of accessories including scarves and a jewelry line featuring necklaces, bracelets and charms. In 2019, Kay decided it was time to “dress the Spartina woman a little bit more.” Thus, the premier apparel line debuted a spring collection in stores and online. The Spartina collection reflects laid-back luxe and casual elegance painted with vibrant colors. The line is constructed in fabrics that allow for flexibility, giving you the ability to run errands in ease, engage in day play and spontaneous adventures, and enjoy casual evenings by the water or river. 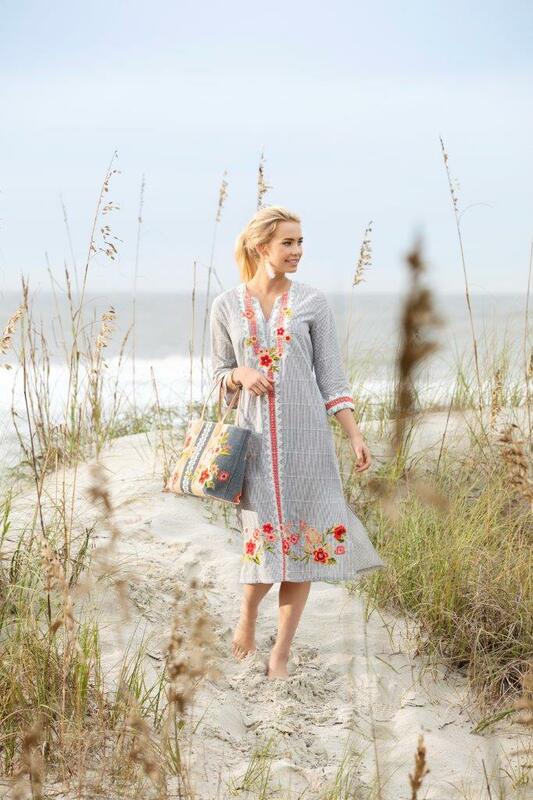 The collection captures the Spartina woman’s playful spirit! The spring line is made from only the finest Peruvian cotton, which lends an air of effortless elegance, with a little bit of spandex that allows the apparel to be more comfortable, moveable and breathable. The jersey styles include dresses, skorts, tops and tanks in mix and match patterns. Spartina took measures to make the colors coordinate thus making pieces interchangeable. And when traveling or in a quick need for a fashion-forward daytime look the options available are quite handy for quick decisions. The collection’s colors flow in consistent shades from collars to skirts to scarves. The patterns are interchangeable from piece to piece and these colors and patterns flow right down to the line’s accessories. Spartina 449’s timeless patterns make for timeless looks. It is also fun to dress a family of Spartina women. The looks from the collection are multi-generational and work especially well for that vacation portrait on the beach or for an early evening walking the harbor hand in hand, with the pieces blending so beautifully against the boats and ocean hues. The collection also includes ponchos and kaftans crafted with delicate and colorful embroidery. These dressing pieces are also constructed of natural fabrics of linen and cotton blend – keeping them wrinkle-free. Poolside parties are a perfect place to showcase your Spartina 449 kaftan and, when you add some heels, it can go straight to cocktails by the sea. If you want to add some style to your hairstyle, wrap a coordinating scarf around your head…and crank up your convertible! You can also flow it around your neck to add the colorful pop of an extra pattern to your look. Layering on some beautiful stone necklaces when taking in an early dinner with your husband or a new friend is another option. Of course, always bring along your linen and leather Spartina purse or poolside beach bag to make your outfit complete. Stop by the Spartina stores to get your spring looks or shop the collection online. And when you do, know that your purchases benefit a great cause. Since its start, a portion of every Spartina 449 sale goes towards the Daufuskie Island Historical Foundation. The Spartina woman is now completely dressed for living her casual and fun-filled life…from clothing to accessories. Spartina 449 girls just want to have fun! 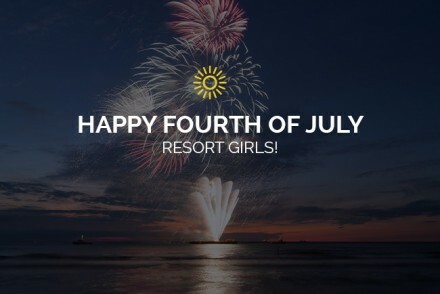 Happy Fourth of July Resort Girls!